When Dr. Mark Bateson, Kent County Council’s Community History Officer, was asked to search for a copy of a thirteenth-century charter, he was able to find it in a Victorian scrapbook. Moroever, in that same scrapbook he made an amazing discovery – a copy of the Magna Carta issued in the year 1300. The document, which is heavily damaged, could still be worth as much as £10 million. It was one of only 24 editions of the Magna Carta in known existence around the world, and was sent by King Edward I to town of Sandwich, which during the Middle Ages was an important English port. The document seems to have been forgotten over the centuries, and was part of a collection of papers sent from the Town of Sandwich to the Kent County Archive in 1954. The other thirteenth-century document found in the Victorian scrapbook was a 1271 copy of The Charter of the Forest, which is a companion document to the Magna Carta. Issued just two years after the Magna Carta, it re-established rights of access to royal forests for free men, which allowed people to collect firewood and have their animals graze in these woods without being arrested by the king’s authorities. 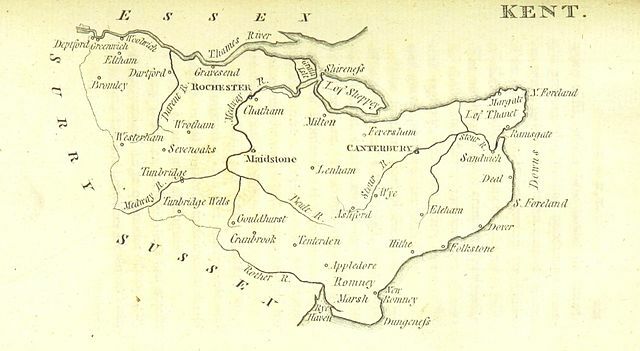 The Mayor of Sandwich, Paul Graeme, issued a statement about the discovery: “On behalf of Sandwich Town Council, I would like to say that we are absolutely delighted to discover that an original Magna Carta and original Charter of the Forest, previously unknown, are in our ownership. To own one of these documents, let alone both, is an immense privilege given their international importance.